Dr. Doug Tiffin has served Dallas International since 2008 – first as the Director of Development, then as Dean of Academic Affairs, and since February 2017, as the second President of the school. Prior to joining Dallas International, Dr. Tiffin served as a Senior Pastor for 25 years in two churches in Canada and one in northern California. The first church was a three-year-old outer ring suburban church plant which grew from 53 to 350 people. In Manitoba he served the second largest Baptist church in the country and, under his leadership, it grew from 1,150 in average weekend attendance to 1,750. He helped stabilize and revision a large but declining urban church in California. While never going into ministry to build buildings, Doug has led his churches through seven major building projects (church facilities, school expansion, and seniors housing). Just prior to joining Dallas International, Doug worked for three years as an executive consultant, helping almost 40 churches and parishes across North America raise funds for capital projects. 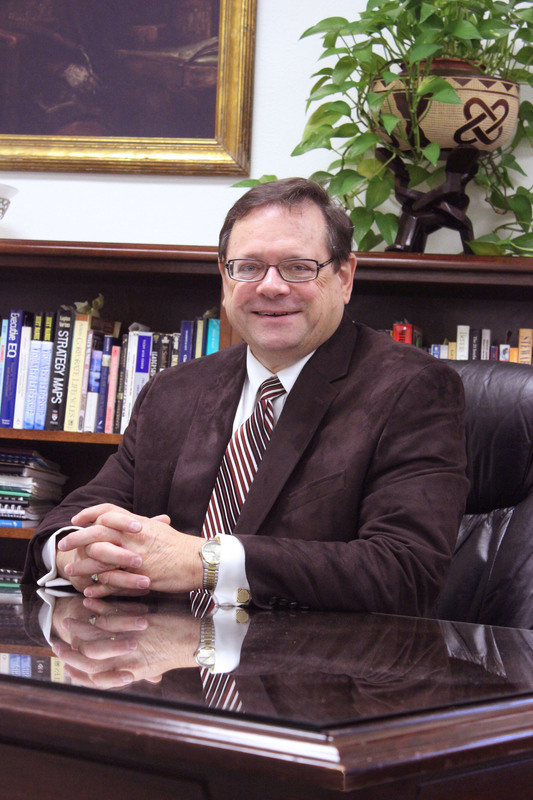 Doug earned a Master of Theology degree from Dallas Theological Seminary and a Doctor of Ministry degree from Southwestern Baptist Theological Seminary. He is a native Canadian and now a US citizen. His wife, Mary Sue, grew up in Oak Cliff, Texas. They have been married for 38 years, have two, married adult children living in Texas, and four grandchildren. Doug loves traveling. He has visited Israel, Egypt, Mexico, Grenada, the Philippines, Kenya, Thailand, Western Europe, most of the 50 US states, and 9 of the 10 Canadian provinces. One of his favorite travel experience was a water safari at low tide in the Indian Ocean near Malindi, Kenya. As they walked through the shallow waters, the guide identified a variety of marine life that the untrained eye would seldom see. He also enjoys home renovation, having built five houses and renovated four others. In a career that focuses on long-term life change, having a hobby that produces immediate results is gratifying. Doug encourages students to make sure their life plan will have eternal significance for the Kingdom of God. The privilege of building into the lives of others provides the motivation and excitement that makes life meaningful – not always easy, but always rewarding.